Jon Hasselbeck was born and raised in the Buffalo, New York area. Jon attended Bethel College in St. Paul, Minnesota. After finishing college, Jon married his amazing wife, Yolande, and began a construction company building homes in the Western New York region. He eventually gave up his business to serve as the Senior Pastor of Harris Hill Mennonite Church for five years, under the tutelage of Pastor Richard Bender. 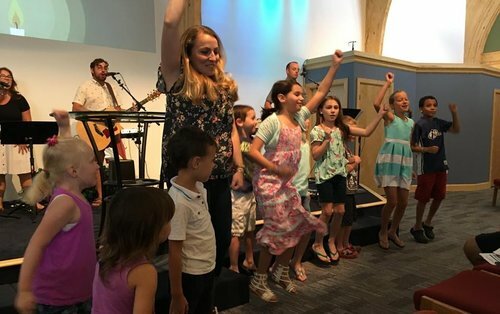 He later joined Pastor Tommy Reid at The Tabernacle in Orchard Park as the Senior Associate Pastor for 10 years before starting the NorthGate church plant. Pastor Jon and his wife, Yolande, were married in 1982 and have three wonderful children Joel, Emily and Julie. In 1999, God released a dream to plant a church near the University at Buffalo. One night, in prayer, I was led to the scripture of Ezekiel 44:4 from which we received the name "NorthGate." For the next 10 years, I served as the Senior Associate Pastor under Pastor Tommy Reid at The Tabernacle in Orchard Park. This proved to be an essential time of training and preparation for the launch of Northgate which occurred in 2008. A key part of the vision was to plant NorthGate in partnership with a number of different churches across denominational lines. I began to share our vision with others and the Lord opened door after door for churches to work together to fulfill this vision. We met with over 14 churches from our region who expressed a strong willingness and excitement regarding partnering with NorthGate to reach the University at Buffalo and the surrounding community. I also began to meet with a number of campus ministries who were already doing great work reaching out to students at the University at Buffalo. NorthGate has a strong desire to partner with congregations and ministries throughout the Western New York region. As a result, we have seen a number of Senior Pastors develop relationships and cross denominational lines. Our desire is to see The Church of Buffalo partner together in a way that will reach every man, woman, and child with the Gospel of Jesus Christ. On Sunday, October 19, 2008 the vision for NorthGate was released at The Tabernacle in Orchard Park. Pastor Tommy Reid endorsed NorthGate publically, followed by a video message from Pastor Jerry Gillis of The Chapel at Crosspoint. These two leaders have had a tremendous influence on the development of NorthGate. Our first gathering took place in a home located in Amherst with about a dozen people. Over the next 11 months, we developed a core team of people. This group met on Saturday nights to develop a sense of community, vision, and purpose. Over time, the core team grew to approximately 60 people and we launched public services in the AMC 8 Movie Theater located at the corner of Sweet Home and Maple Rd. In February 2011 we moved to our current location at 5225 Harris Hill Rd. Williamsville NY. In November of 2015, NorthGate completed a building project titled "Making A Place For You." This expanded the physical space of the church to accommodate the rapidly growing congregation which includes new space for our Children and Youth Ministry. Now in 2018, Northgate is once again running out of space and are praying for vision of what God has next for us in the coming years. NorthGate is a Christian community of all ages mentoring students to change the world. Today, NorthGate welcomes students, young families, and people of all ages and walks of life. We would love to have you join this community. The Lord is making a place for you at NorthGate.